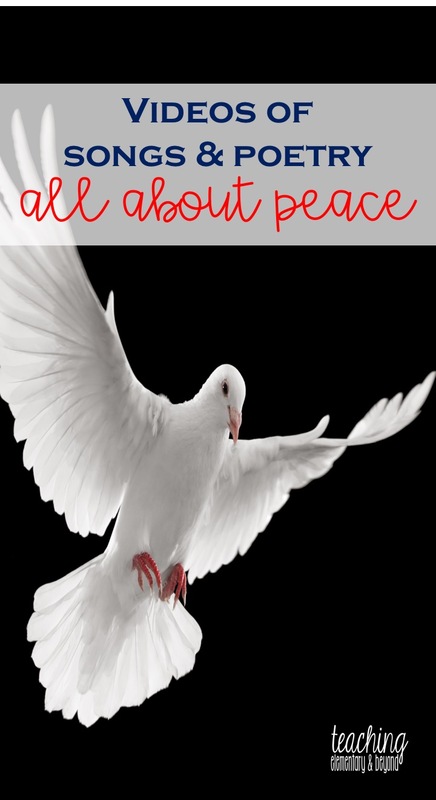 This is a compilation of videos of songs and poems about peace. I hope that this can help you out. 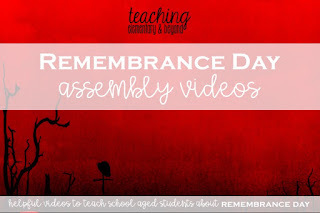 I have watched many of these over the years to help make our Remembrance Day assembly special! We usually rotate videos over the years so it isn't always the same one every year. Jim Papoulis has a collection of many songs on videos which are posted online that are sung by various children's choirs. They are quite engaging and you may find them to be useful. 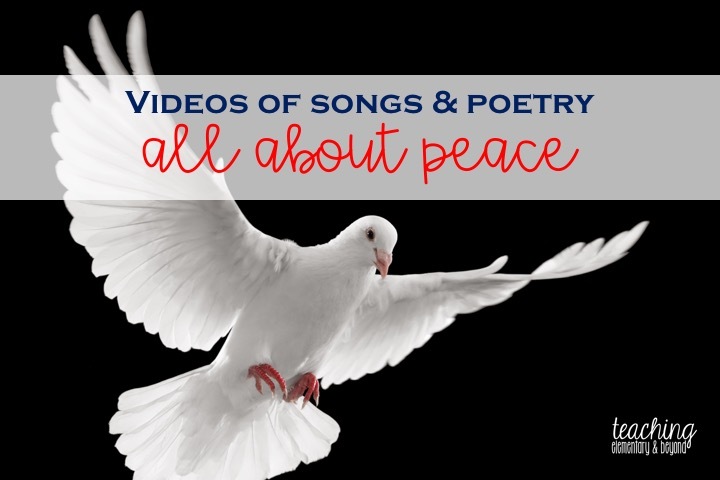 Some of the videos have a descriptive explanation of the song by the choir director. You may find these beneficial to listen to, or skip over depending upon your classes needs.